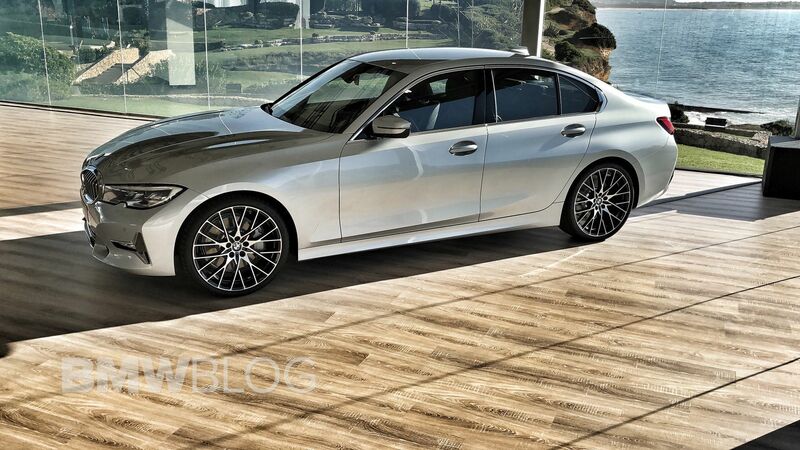 From Portugal, we bring you a first look at the 2019 BMW 3 Series in Glacier Silver Metallic. The color was available on the outgoing F30 generation as well and now makes its way into the G20 color palette. In the US, the standard colors are Alpine White and Jet Black, while for $550, you get additional options – Black Sapphire Metallic, Melbourne Red Metallic, Glacier Silver Metallic, Mineral White Metallic, Mineral Grey Metallic ,Mediterranean Blue Metallic, Sunset Orange Metallic, Vermont Bronze Metallic, Portimao Blue Metallic and Blue Ridge Mountain Metallic. It’s also refreshing to see is that the standard 3 Series will come with some cool colors, rather than just the typical slew of blacks, whites and silvers. For instance, the blue launch color we’ve seen in all of the press and auto show photos is called Portimao Blue, named for the racetrack in Portugal. It also gets Sunset Orange Metallic, a color offered on the new M2 Competition and even the new 8 Series. 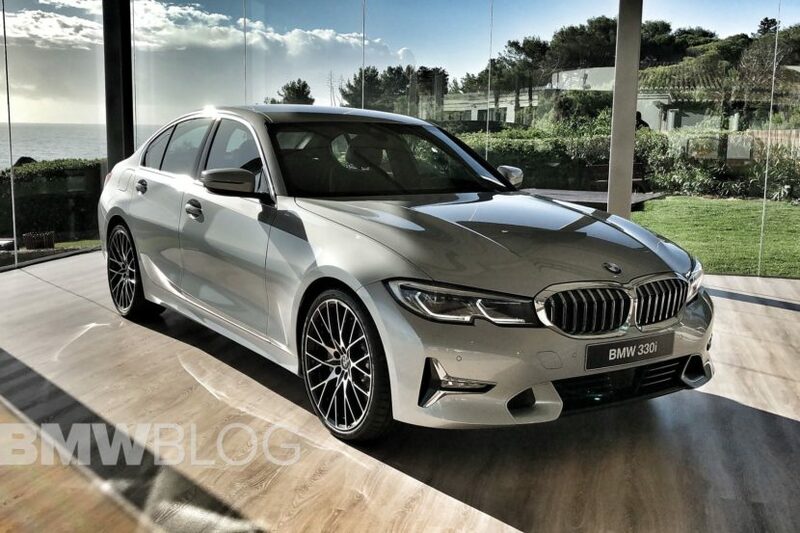 The car on display is the G20 330i which gets a 2.0 liter turbocharged four-cylinder engine 255 hp and 295 lb-ft of torque. That’s also paired with an eight-speed automatic as-standard but will come in either rear or all-wheel drive. All combined, the BMW 330i can hit 60 mph in 5.6 seconds. The 3 Series entry-level to the U.S. market – at least for now – is priced at $40,250 for the rear-wheel drive model and 42,250 for the xDrive configuration.